Pinecam.com • View topic - BOWLS AFTER DARK EVENING GALA! Post subject: BOWLS AFTER DARK EVENING GALA! 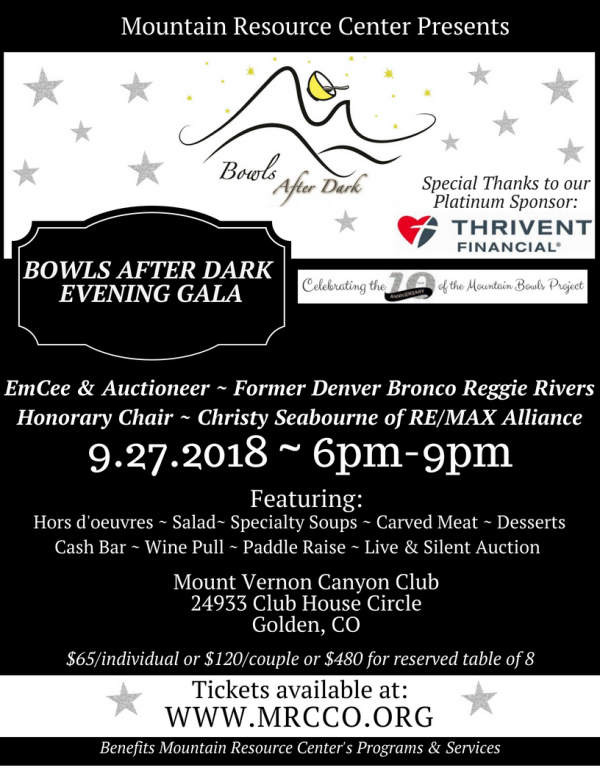 Mountain Resource Center's signature fundraising event of the year is here ~ Bowls Afer Dark Evening Gala! Please join us in raising funds to support our mission "We strengthen our community with services that empower people."